NEWBURY PARK, CA — (May 22, 2013) — MAXON, leading developer of professional 3D modeling, painting, animation and rendering solutions, today announced that Cantina Creative, the design and visual effects studio located in Culver City, Calif., relied on its popular CINEMA 4D software to generate more than one hundred 2D and 3D visual effects shots that appear throughout the blockbuster Disney/Marvel Studios superhero sequel, Iron Man 3. 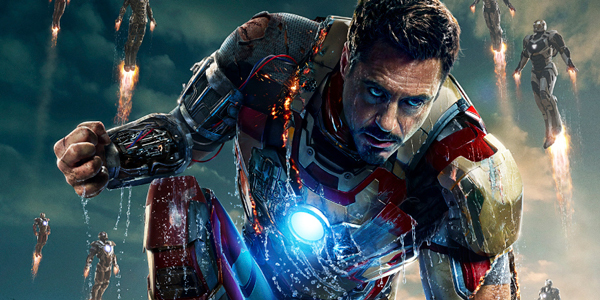 Iron Man 3 pits star Robert Downey Jr. (Tony Stark/Iron Man) the “…brash-but-brilliant industrialist against an enemy whose reach knows no bounds. When Stark finds his personal world destroyed at his enemy’s hands, he embarks on a harrowing quest to find those responsible…” (source Marvel Studios). In its opening weekend on May 3, the film earned the second-best box-office opening weekend in the U.S. of all time behind The Avengers and continues to ‘wow’ audiences worldwide. The Cantina Creative VFX team members, including Cantina Co-founder and Creative Director Stephen Lawes, Co-founder and VFX Producer Sean Cushing, and Cantina VFX Supervisor Venti Hristova, worked directly with Marvel Studios’ Iron Man 3 Visual Effects Supervisor Chris Townsend and Visual Effects Producer Mark Soper. Cantina Creative was tasked with designing the elaborate 3D head-up displays (HUDs) – a virtual graphical interface that Iron Man sees from within the helmet environment of his armored suits that communicate essential data and statistics ranging from his physical condition to weapon and navigational diagnostics – with an emphasis on the new ultra-high-tech Mark 42 suit. Lawes explains that Cantina Creative designed HUD and interface graphics using CINEMA 4D for Iron Man 2 and for Marvel’s The Avengers. Due to major engineering advances in the Iron Man 3 suits, including the ability for Stark to access the suits via remote control coupled with delivering shots in 3D stereo, the VFX team needed to step up the evolution of the HUD 3D graphics to augment Stark’s on-screen identity and action-packed performance. “Townsend provided creative input and suggested aiming the new HUD design towards a more 3D photo-real, holographic approach as opposed to the design language of the previous films – 2D graphic elements in 3D space. This new design direction emphasized the beauty of the volumetric lights projected into space using optical flares (a design motif drawn from the ‘External HUD’ hologram in the movie) and the textured reflections generated by the light interaction of the HUD widgets from the ambient environment. This took the graphics away from a purely text-functional level to a more organic holographic world,” Hristova says. To meet the sheer technical complexities and stereo workflow requirements in the film head-on, Cantina Creative developed an advanced stereo rig, similar to the one used in The Avengers, built in Adobe After Effects, and then exported into CINEMA 4D for animating 3D objects such as the suit, helicopters, and dimensional navigation graphics seen within the HUD.